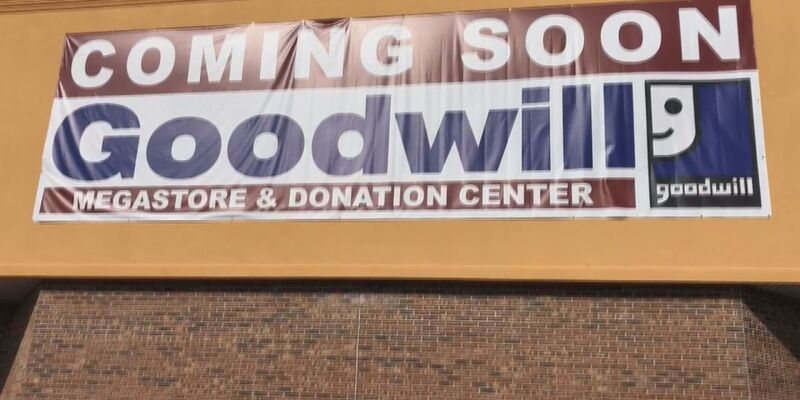 The old Delchamps grocery store in the Seashore Plaza on U.S. 90 in Ocean Springs is about to get a Goodwill megastore and donation center. OCEAN SPRINGS, MS (WLOX) - A large commercial building that has sat vacant for over two decades is about to be filled. The old Delchamps grocery store in the Seashore Plaza on U.S. 90 in Ocean Springs is about to get a new tenant. Hanging out front is a huge banner saying a Goodwill mega store and donation center is coming soon. City officials have long said filling that vacant store has been a priority. Meanwhile, other merchants in the shopping plaza are excited about their new neighbor. “I think it’s going to be great for business, I’ve been here for 25 years, that lot’s been vacant for about 25 years at least, hopefully it will bring in some good business for us, that’s what we’re hoping,” said Amy Husley, who works in the shopping center. Ocean Springs Mayor Shea Dobson said he is thrilled to see Goodwill expanding in the city. He also said company officials have told him they hope to open the store by the spring of 2019.